I was never into the star system for rating things. It doesn't explain nearly enough and it implies that you should be directly comparing things that may in fact be very different even though they are in the same broad category (books, movies, chocolate, etc.). 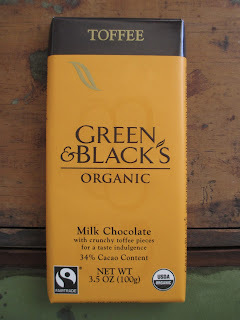 So when I am writing a chocolate review, you've probably noticed my difficulty in simply saying: it was bad, it was weak, it was okay, it was good, or it was excellent. The truth is much more complicated than a simple statement. Over the years, I've begun to develop my own vocabulary for describing what a chocolate offers. So I'm going to take today's post to briefly describe (along with some examples) what I mean by the chocolate categories I tend to reference in my reviews. Candy - This one should be self-explanatory. This means Hershey's, Mars, and Nestle products and their kin. Reese's Cups, Three Musketeers, M&M's, that sort of thing. 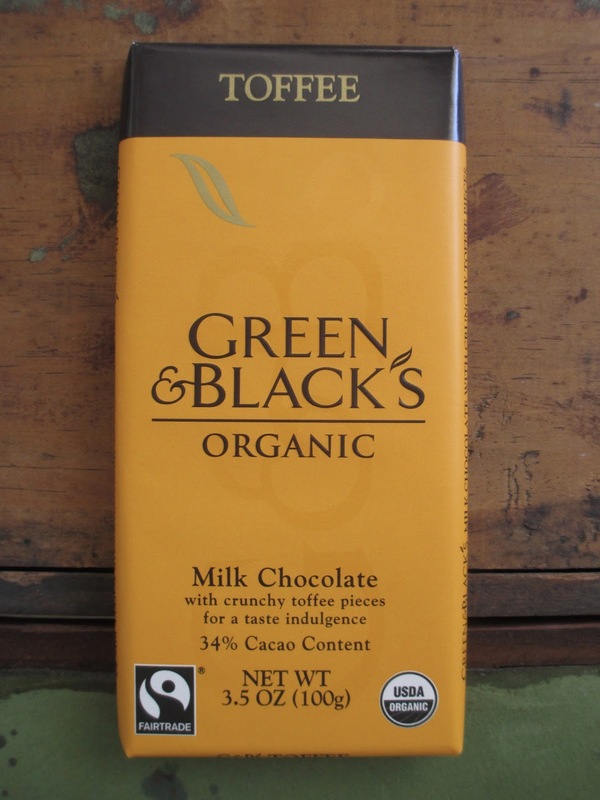 The chocolate itself is the smallest factor in products like this. If a chocolate's packaging doesn't look like a candy wrapper and yet that's the category I put it in, well, that's criticism. I don't generally think too highly of this category because most of it is cheaply made with bad ingredients, but I don't dislike candy, so I am completely in support of other brands trying to make better quality chocolate candy (in particular there are quite a few alternative Reese's Cups for sale these days). "Candy" shouldn't mean "low quality," but unfortunately it usually does. Confections - Although very similar to candy, when I refer to confections I think more of brands like Rocky Mountain Chocolate Factory. They do make all of their sweets by hand (they don't make the chocolate themselves, just the truffles or candied apples or whatever else they sell), and that gives them a different feel to off-the-shelf candy. Usually the quality of confections is a little better than that of candy--but that isn't a general rule of my category. Instead of just tasting sugar, vanilla also plays a strong role. Confections aren't gourmet, but they can be just as satisfying in their own way because they come with an element of nostalgia. 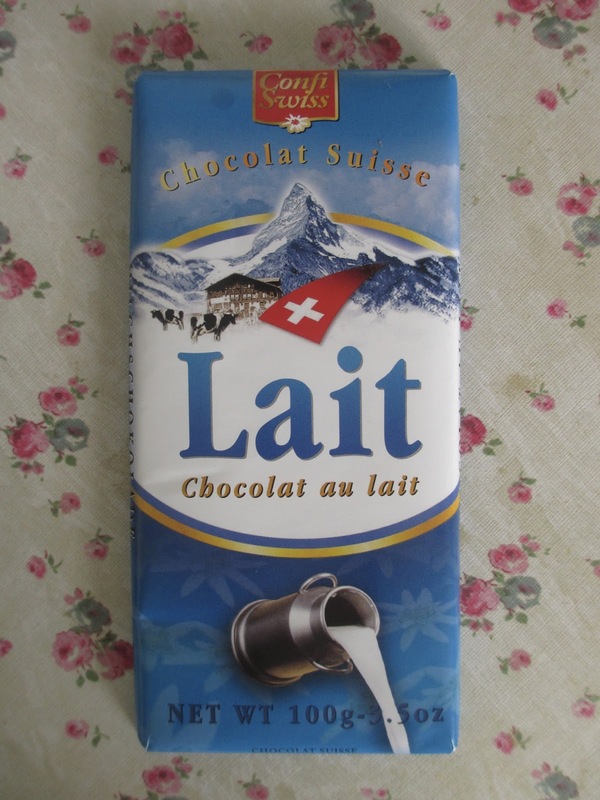 Milk chocolate usually; if there's dark chocolate, it's the light kind. Mass-Produced Chocolate - Think of Godiva. 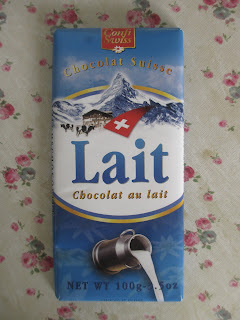 Some of their chocolate is good, but none of it is as good as they claim that it is. They claim that it's a gourmet indulgence, the diamonds of the chocolate world. Yes, it can be nice to pick up one of their truffles after a day at the mall in the same way that you might buy a cookie. But Godiva doesn't make diamonds. Mass-produced chocolate is the chocolate that you can instantly distinguish from fresh, handmade truffles (you know, the kind that only have a shelf-life of two weeks). Casual Chocolate - This is such a vague phrase, and yet I find myself using it often. This is chocolate that isn't trying to be gourmet or high end. It's just trying to use quality ingredients to make a product that tastes good. I usually put brands like Theo into this category. Theo is one of my favorite brands to share with people because it's readily available to buy and because the look and flavors are straightforward. 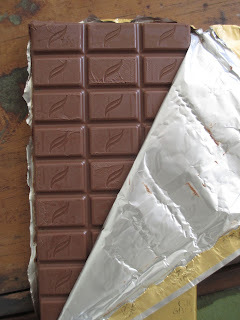 You don't have to tell people to sit quietly and smell the chocolate and snap the chocolate and taste it in five steps in order to describe the flavor notes (I mean, you can, but you don't have to). You don't have to read a novel about the kind of cocoa or the conching method used. You just eat this chocolate and come away pleased (well, if it's carried out correctly). Gourmet Chocolate - Some people call this craft chocolate; I don't like that name because it just reminds me of wine and beer. I prefer calling it gourmet because that's the word that, for me, truly implies the care and devotion that goes into chocolate like this. Amano, Michel Cluizel, Domori, Pralus. Fine chocolate made by people who take care to visit the cocoa plantations and choose the specific cocoa beans they want to use--and then use that same attention to detail along every step of the process. Quality ingredients is just the beginning for chocolate like this. This is the chocolate that you can talk about for hours if you want to because it's a topic in itself. 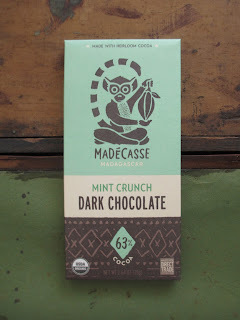 This is the chocolate that can be most exciting to write about or publicly praise because of its high standard. But do you see what I mean now? As wonderful as gourmet chocolate is, I don't want to eat that all the time. Sometimes I just want a chocolate candy or confection. So it would feel unfair to rate a gourmet chocolate higher than a confection if they are both doing their job and achieving their specific and separate goals. That's why I describe what a chocolate offers rather than just sticking to a star-like system of rating. And yes, there is crossover in my vague categories. Some products fit into more than one place, and probably some don't fit well into any of them. But this is just a quick look at some of the vocabulary I use; each review is of course going to describe the specific case that is each individual chocolate. I wasn't exactly excited about another Star Wars: Battlefront book. Then I saw that Inferno Squad would be written by Christie Golden, who also wrote Dark Disciple, and I thought that perhaps the book would hold some interest for me, after all. As I'm beginning to realize and talk about, certain of the Star Wars books interest me more or less depending on where they place the focus. Books about characters and places and emotional themes are best. Books about politics and battles not so much. The first Battlefront book was very much just a wartime, army book focusing on a team making it through the fighting. This book starts off as if it's going to be similar. There are some skirmishes. Then the setting changes. Inferno Squad takes place directly after the destruction of the first Death Star. Inferno Squad is a small Imperial group that goes undercover in a rebel group based around Saw Gerrera's ideals. Basically they've living in a cave trying to act like people they aren't--and sometimes feeling gray areas develop. Perfect. The cave living almost reminded me of The Host at times (though it's nowhere near as rustic as that), especially given that you have a close-up look at a confined group of people trying to get along with one another. And all of these questions about identity and loyalty are exactly the types of things I like to get from Star Wars--and the type of character-based content that I expected from Christie Golden. Sometimes I don't like when stories explore the gray areas, when they try to portray villains as not being wholly evil or show that neither side is perfect. I get it, and it does usually make for interesting storytelling. But Star Wars is great because of its themes of good and evil, so you do have to be careful in what ways you explore those gray areas. Somehow, even though Inferno Squad is all about showing the perspective of Imperials who are just trying to do their duty to restore peace and order to the galaxy, it works. The reason that it works is that it's straightforward: the characters don't really waver much in their ultimate loyalty because they believe in their cause. And it works because the rebels that they're seeing up close aren't the Rebel Alliance--they're like Saw's rebels. Here, of course, we have the welcome tie-in to Rogue One. There are plenty of references to that storyline. And we have further exploration of the rebel groups who are quicker to action (and quicker to violence) than the Alliance. You can't argue with Iden choosing to stay loyal to the Empire versus joining this group. So, yes, there's action in here, but it's all character-based, making this one of the Star Wars books I've enjoyed more rather than less. Normally I don't get into the whole "read the book before the movie comes out" thing. Either it's a book I've read or it isn't; either it's a movie I want to see or it isn't. This case, however, was different. I've been hearing of Jeannette Walls for a while, so when I saw a secondhand copy of The Glass Castle a while back, I picked it up. Then I was talking to someone recently who said she was looking forward to the movie because she had really enjoyed the book--and I thought I'd better finally get around to reading it myself. I do that: some books I read as soon as I get them and others wait for years for my attention. Sometimes that just makes for the right timing. Now must have been good timing because I found that there is something in The Glass Castle that's absolutely brilliant. The quote on the front cover from People draws a comparison to Frank McCourt--but I mostly disliked Angela's Ashes so I don't know how much I agree. I think there is a more subtle sparkle within this book. Not the sparkle of goodness or the sparkle of happy memories. It's the sparkle of decision. 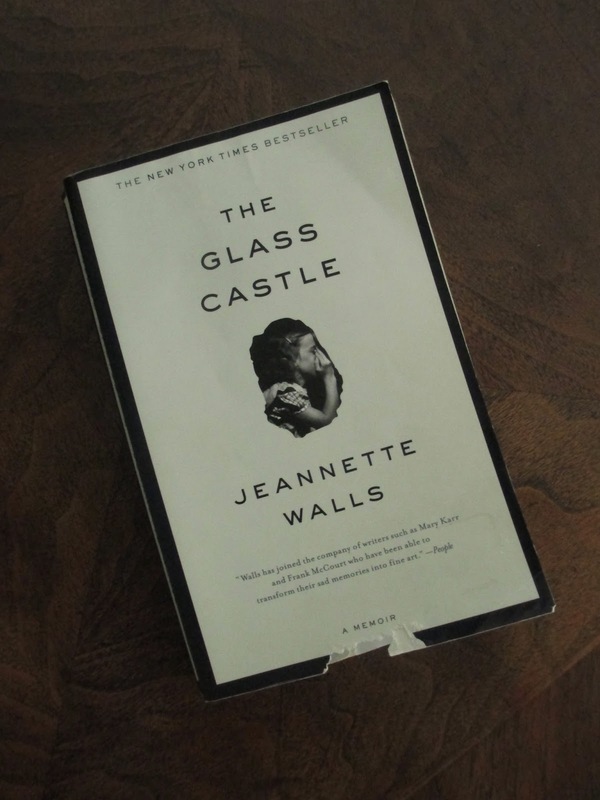 This book is a memoir, describing Jeannette Walls's childhood and leading up to her first adult years. There are sad things and there are happy things. There are things that a child wouldn't have seen as bad but an adult would. While the tone in which she describes events is matter of fact and therefore often neutral (you get the sense that she is mainly just trying to tell the truth of what happened and not imprint later thoughts on the past), there is a subtle change that takes place about halfway through, when Jeannette is changing from a child into a young woman. There comes a point when she sees past the adventure and resilience that her parents speak of and sees their failings. As she realizes her parents' faults, she still holds into the resilience that they taught her. She decides that she doesn't want to live like they do--and that's a powerful decision. Some people will relate to elements of this book. While I can't say that I do personally, I have heard stories from other people that made some of this sound familiar. So what I really found powerful was this decision that Jeannette and her siblings made to lift themselves out of the rut that their parents set up for them. It's one thing to be raised to have a positive sense of self and your self within society, but to be able to stand up above the various ways in which parents can be holding you down must really be something, something difficult and also powerful. And it isn't from a lack of respect for or love for parents, either. This is why the matter of fact tone of this book works so well. It isn't about hatred. And it isn't even about a childlike choice to hold onto magical illusions. It's just about the truth. Jeannette's parents raised her to be smart, and for that reason she couldn't wait to make for herself a better life than they had ultimately made for her.